Washington, Sep 12 (IANS) More than 1.5 million people have been asked to evacuate their homes along the Virginia, North and South Carolina coasts as Category 5 storm Hurricane Florence approaches, an official said. It is expected to make landfall in the area later this week, Efe news reported. 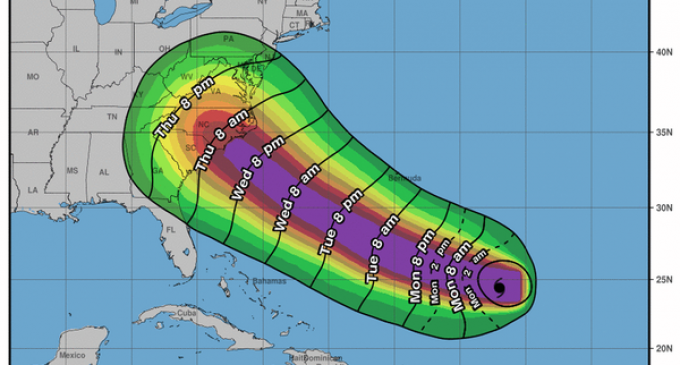 Hurricane Florence is packing sustained winds of 140 miles (220 km) per hour and remains an “extremely dangerous” Category 4 storm as it approaches the US eastern coastline, specifically the Carolinas.